In this blog post, I cover Saints 'N' Sinners, a new restro-bar in Global Foyer Mall, Golf Course Road, Gurgaon. New F&B outlets try their best to position themselves differently - either through good food, ambiance, or music - even then, you rarely find all the checkboxes ticked. If the intent is right though, they can afford to find a middle ground somewhere, paving a way into the customer's heart. 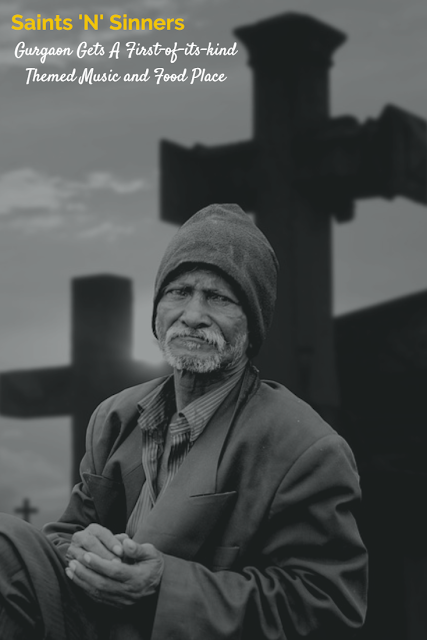 True to its name, Saints 'N' Sinners promises to celebrate the undeniable duality of human nature by providing a place that's free from precedence and prejudice. 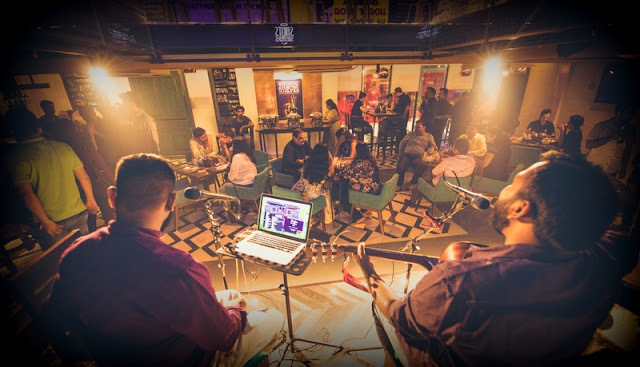 By offering a first-of-its-kind themed music and food place in Gurgaon, Saints 'N' Sinners is urging you to let your guards down and be what you want to be! A culinary venture of Moonshine Food Ventures LLP, run under the leadership of restaurateur Vishal Anand, Saints 'N' Sinners is the kind of eatery you'll go right after a long arduous day of work just to unwind. The new restro-bar introduces a fine blend of enthralling music, fusion food, and exhilarating drinks at a modest price point. The menu is a combination of Continental, Indian, and Asian delights, diligently crafted by Head Chef Hitender Sharma who has over 18 years of F&B experience, having worked for reputed brands like The Imperial, F Bar and Lounge (The Ashok), Park Inn by Radisson, etc. For the uninitiated, Chef Hitender specializes in Italian and Indian cuisines. From crispy bar bites to mouthwatering starters, the experimental fusion food at Saints 'N' Sinners keeps you guessing all the time. Even the traditional Indian food is presented with a modern twist with influences from Awadhi, Parsi, and other regional cuisines. If you're someone who enjoys western classics, expect a variety of Tex Mex, European, and Mediterranean flavors. 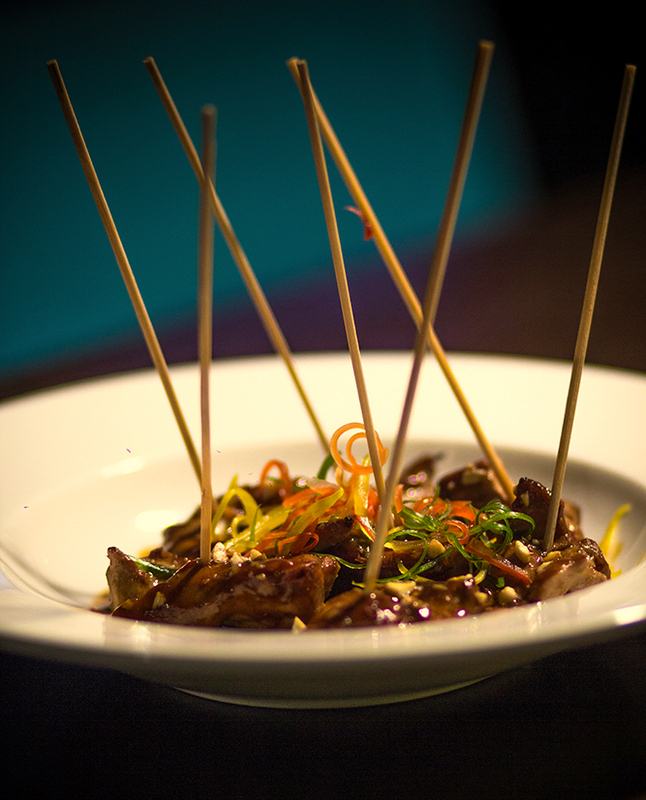 I even discovered a few dishes on the menu from South East Asia, Japan, China, and Korea. The creatively crafted Bar Menu has some of the best mash-ups of delectable food and beverages. Dak Ganjeong, Lamb Shank Nihari, Sauteed Prawns with Orange Chili compote, and Tequila Sunrise, were some of my favorites. Muddle some green apple with lime juice and top up with soda, and what do you get? Nothing short of a sparkle, er, Apple Sparkle. Hailed as an all-time favorite, this drink is made of litchi juice delicately flavored with sweet basil and spice. For the connoisseurs of wine, you'll find great quality wines from France, Italy, Chile, California, Spain, Australia, and India. Whisky lovers can choose from Blended, Premium, Bourbons, Single Malts, and Irish Whisky. Not to forget a vast and wide selection of Vodka, Rum, Gin, Tequila, Cognac, and Beer. 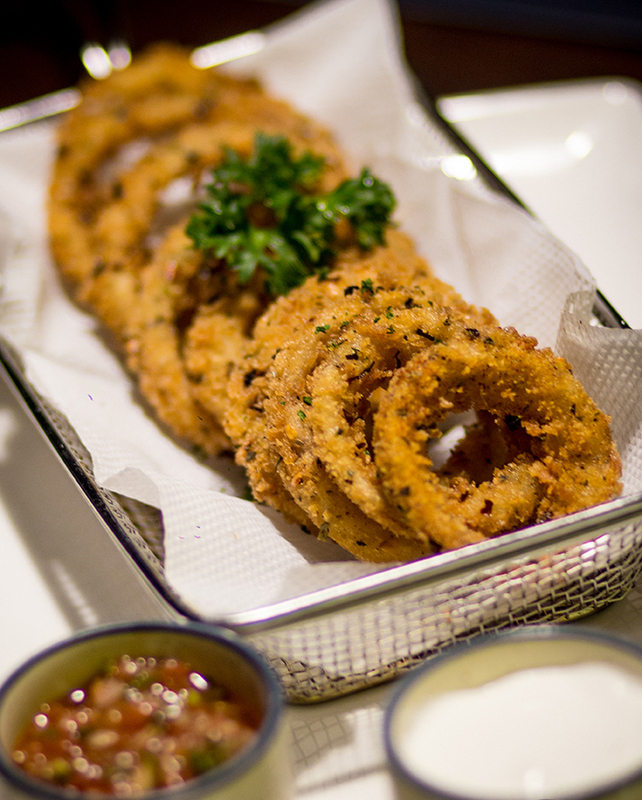 As the name suggests, these world famous onion rings are served with roasted tomato salsa. An instant hit with both kids and adults, this dish consists chicken nuggets tossed with Korean barbecue sauce and nuts. How about some melt-in-your-mouth mushroom kebabs, flavored with Indian herbs and spices? Best served on a slice of toasted bread. One for the saints, this starter consists crispy fried zucchini fingers served with Piri Piri dip. One for the sinners, this dish consists chargrilled morsels of chicken thigh, marinated with curd and Indian herbs and spices, wrapped in bacon along with brandy-soaked prunes. 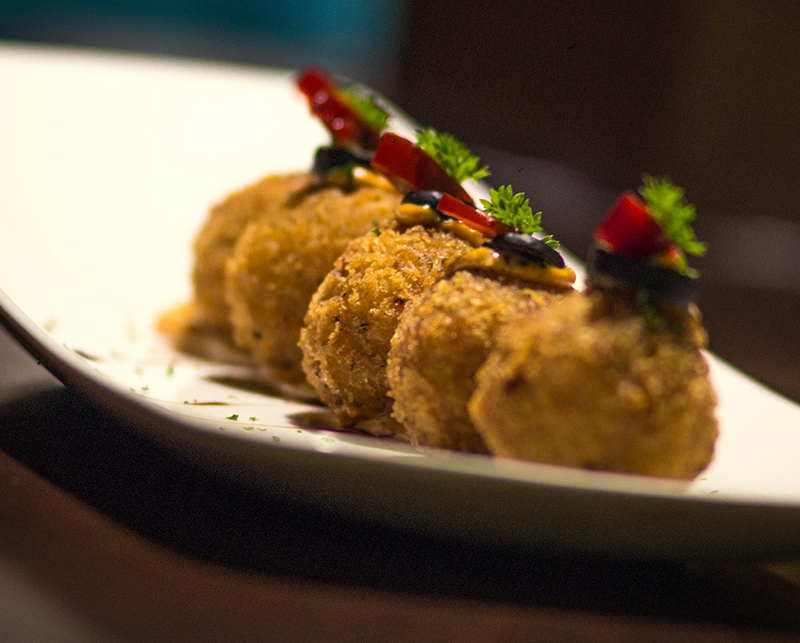 Succulent pieces of chicken coated with a curd marinade and cooked in a tandoor. Best served with lachha paratha and butter chicken gravy. My personal favorite, this dish consists lamb shanks braised with Nihari gravy. Best served with Butter Naan or Lachha Paratha and sauteed masala vegetables. Twisted apple pie; this one is not to be missed! The biggest highlight of Saints 'N' Sinners is the live music that centers around cult Pop and Rock with old-school classics. 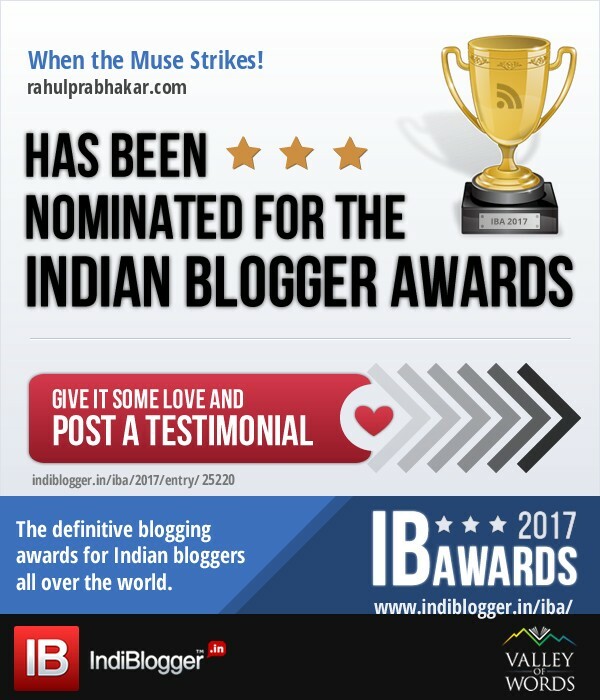 Check the Event Calendar every month to see who all are performing. On the opening night, for instance, the pub-like ambiance was further enhanced by an outstanding performance from Frisky Pints and DJ AMI. Spread across the ground and first floors, Saints 'N' Sinners renders an extremely cozy setting with customized interiors carefully matched to match the vibe. The restro-bar can easily accommodate over 100 people at any given time and has a smoking area, private lounge, and DJ console, among others. Anand plans to open at least 3 to 4 more outlets by the end of 2018 in his quest of continuing to bring more innovative concepts to food and music aficionados who demand only the best. 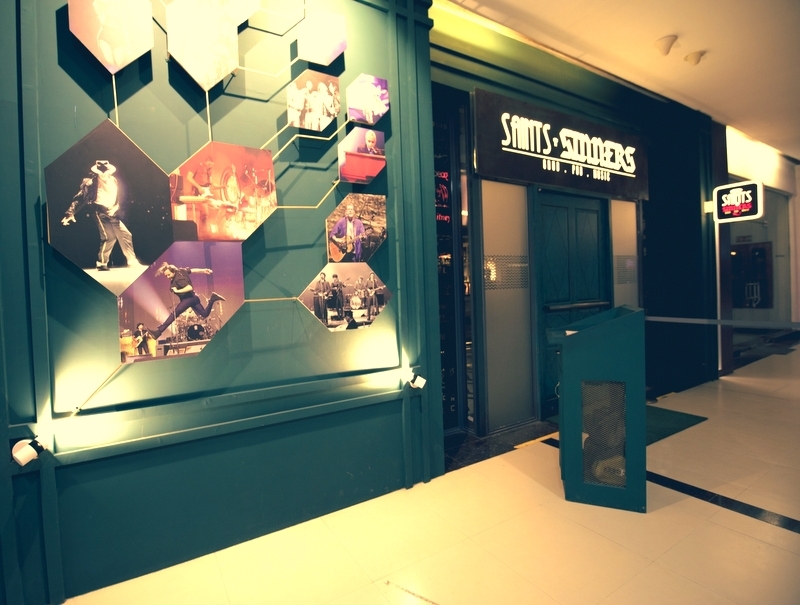 A visit to Saints 'N' Sinners is a must for people passionate about great music, fusion food, and world-class beverages.